Thinking about watermelon in May? 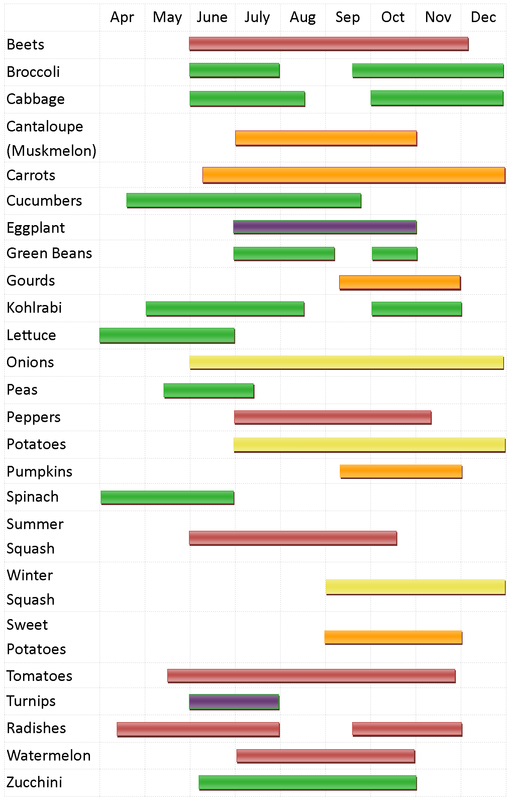 Don’t know when your favorite vegetable or fruit will be ready to harvest? Take a look below to find out.